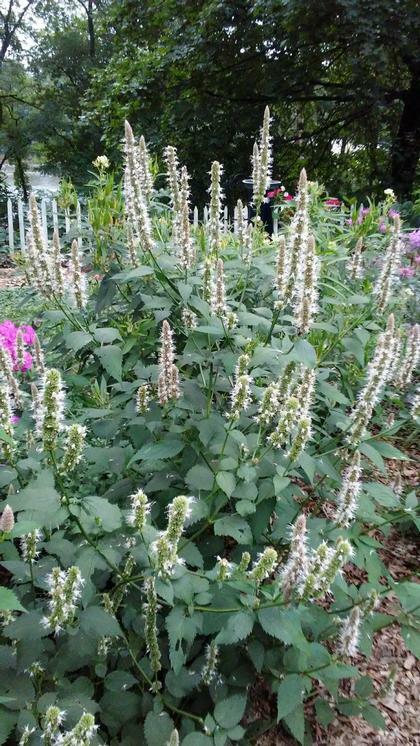 The bees and butterflies are typically very attracted to native agastache and will be with these very tall, bushy and sturdy plants! The flower spikes are a very light purple, almost white from a distance. History states that the leaves were used in poltices and teas.